Marathon Plus features an external quick length adjustment mechanism for exceptionally quick tool changes. Contained forces to reduced turret wear. Hardened and ground punch holder to reduce friction. 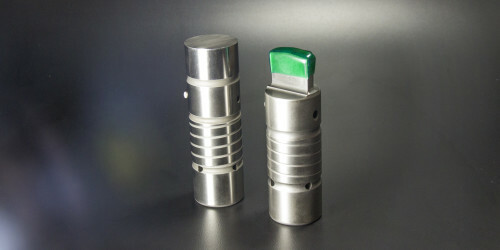 Mate's 114 Tooling System is the Original Equipment Manufacturer's standard serving Murata Wiedemann machines worldwide. Mate's craftsmanship in this traditional tooling style enables your punch press to perform with superior accuracy and speed, regardless of its age. 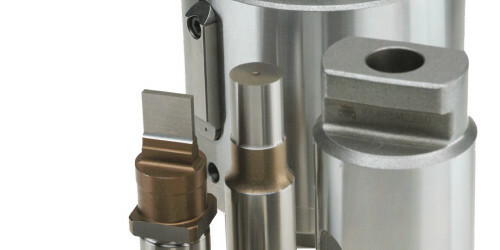 Mate's 112 Tooling System is the Original Equipment Manufacturer's standard serving Murata Wiedemann machines worldwide. Mate's craftsmanship in this traditional tooling style enables your punch press to perform with superior accuracy and speed, regardless of its age. Mate's Vulcan tooling system for Murata Wiedemann machines feature premium high speed tool steel punches, metal strippers and Mate’s Slug Free® Die design.